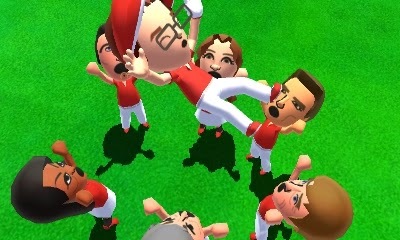 We start our month of Nintendo 3DS-related reviews with Mario Golf: World Tour. It's a game that released exactly one week ago. Does Mario's latest golf outing score above or below par? 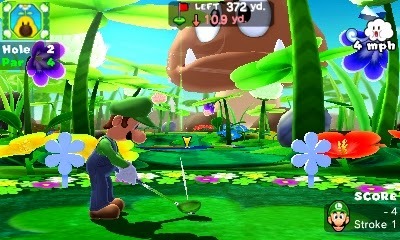 Camelot Software Planning has made numerous tennis and golf games featuring Mario and the gang for Nintendo's platforms. It's been ever since the Nintendo 64 era. That's a long partnership! After a less than remarkable first go on the Nintendo 3DS with Mario Tennis Open, the developer Camelot didn't make it very easy to be optimistic about their second offering and the subject of this review, Mario Golf: World Tour. 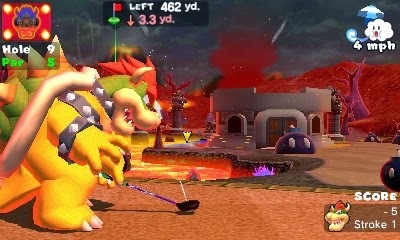 However, Camelot sinks their shot for an eagle, as Mario Golf: World Tour is not just the best in the Mario Golf series, but it's one of the best arcade golf games around. Mario Tennis Open disappointed with its content, or lack thereof. The fine folks at Camelot must have heard the feedback surrounding their freshman 3DS offering, because Mario Golf: World Tour is rich with features. The Mario Golf mode is where you can participate in stroke play, match play, and attempt challenges in order to earn star coins. Each of the game's courses is represented by ten challenges apiece. 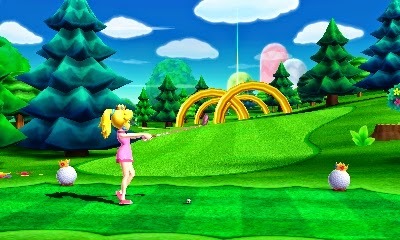 These challenges range from passing the ball through all of the rings and scoring par or better, racing to complete three holes while a clock counts down, match play events against AI opponents (these unlock more powerful versions of the different roster members), collecting a certain number of coins within three holes, and trying to reach the target score within a nine-hole round. thing as having too many rings. As stated, for each challenge that is completed, a star coin is earned. As more and more star coins are gathered, new courses open up with ten more challenges and the ability to play the courses at your leisure. In addition to the single player challenges, there's an entire mode dedicated to your Mii, Castle Club. In Castle Club, you start as a rookie golfer and progress through three 18-hole courses in order tpicking o earn the triple crown. The beginner-friendly Forest course presents players with small slopes and weak winds. Meanwhile, the intermediate course located in a tropical seaside setting introduces sand traps into the mix as well as more prevalent wind gusts. Finally, the last 18-hole course set in the mountains, where the risk of falling off is something to take note of, as are the gusty winds. fans were wanting, but it's still a fine addition. World Tour successfully eases you into swing of things. As you play through the progressively more difficult courses, you're picking up on the little nuances the game contains and learning the basics of golf. The ability to leap into practice rounds in Castle Club allows your Mii to be designated with a handicap. At the start, you have a high handicap, removing plenty of strokes to your overall score. As you perform better, your handicap shrinks until you're actually getting strokes added to your score since you're such a pro! For every round you complete (it's my estimation that all you need to do is complete three holes in succession), new gear is available for purchase in the Castle Club shop. There's various Mario series themed clubs, golf balls, visors, caps, shirts, pants, shorts, gloves, shoes, and more. Depending on what combination of gear you equip to your Mii, his or her stats will change. Of course, many pieces of gear share the same stats, so a lot of the time you choose gear based on looks in addition to function. or is straight, how far you can drive, and more. 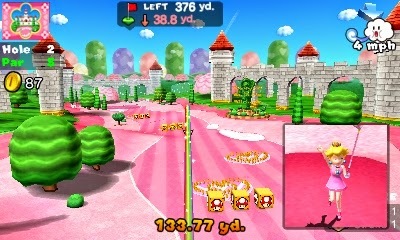 Additionally, Mario Golf: World Tour contains a rich array of multiplayer options. 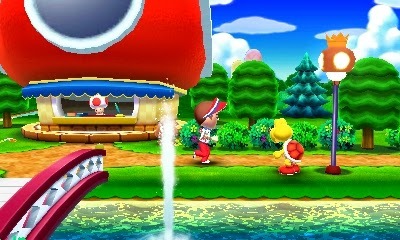 You can play locally with up to three other players, pending you all have a 3DS and a copy of the game. You can also hop online and play a round simultaneously with one another or through taking turns. Tournaments are by far the coolest aspect of World Tour's online options. You can create and enter custom-made tournaments by players just like you. Set the rules (Mario only, stroke play, items on, etc. ), set the course, and set how long the tournament goes on for. Nintendo also has tournaments going, and you can even earn otherwise inaccessible gear just for participating. After you have unlocked some of the Mario-centric courses via the aforementioned challenges, you receive regular costume challenges. These give you nine holes to either beat a set time, collect a certain number of coins, or get a point total while using a slot machine to determine which clubs you are provided with. If a costume challenge is successfully completed, you earn a costume as a reward. Additionally, through accomplishing specific in-game goals, you earn costumes as well. All of these are designed after a Mario character or enemy. The Mario-themed courses in general are the stars of Mario Golf: World Tour. They exude creativity, plus they're a blast to play. These courses are nine holes each, and possess some kind of course gimmick or gimmicks to them. 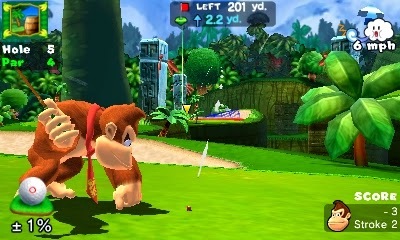 For instance, DK Jungle has barrel cannons that will blast your ball across wide distances, making those par 5 holes easy to reach the green in two shots. Wiggler Park pits your pint-sized golfer against humongous Mario series enemies like Goombas, Koopa Troopas, Buzzy Beetles, and Piranha Plants. Meanwhile, in what must be a first for the sport, Cheep Cheep Lagoon is a course totally set underwater, containing its own special ball physics in the process. one of my favorite courses. To throw even more craziness into World Tour, items make their debut to the Mario Golf series with this installment. While the rules of a given round must allow items in order to have and use them, the rounds that do include items make World Tour a deliciously zany experience. The Fire Flower allows your ball to burn through heavy rough and vegetation as if they weren't even there. The Bullet Bill shoots the ball in a straight trajectory, whereas the Bob-Omb blasts the ball high into the air, perfect for collecting sky-high goodies. It's true that there's plenty of wackiness to be found in Mario Golf: World Tour, but it's important to note that there's a really fine golf game lying underneath it all. 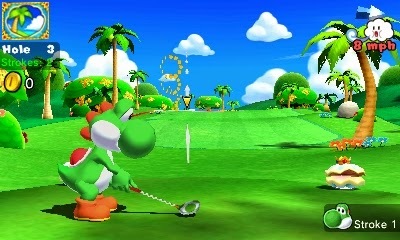 Mario Golf: World Tour allows you to choose between two shot types. If you simply wish to set the power of your shots, you can choose Easy mode. Otherwise, you can set both the power and the spin of your shots with Manual mode. Both of these can be switched between on the fly mid-round. Regardless of which is selected, you're using the standard two or three click gauge system to determine power and precision. where Mario needs to come up for air! When wanting to show some skill, added topspin or backspin allows your ball to either gain more yardage or stop much more quickly when it makes contact with the ground. Having a ball hit the green behind the pin, engage in backspin, making it roll backwards and arrive close to the hole is such an awesome feeling. Ordinary characters with modest strength may not be able to land on a par 5 green in two most of the time, but their shots are much steadier. On the other hand, with more powerful characters and clubs, there's a higher level of risk and reward. It's much easier to miss the sweet spot and send your ball careening into a bunker or other undesirable location, so it's of the utmost importance to time your shot perfectly. There's also various factors to ponder about before simply gripping it and ripping it. Wind speed, wind direction, slope of the fairway, slope of the green, and so on are kind of necessary to consider (read: they are!). When it comes to putting, you can be the greatest driver of the ball in the world, making Happy Gilmore look like one of the Gilmore Girls, but if you can't strut your stuff and putt well, then you're not going to get far in World Tour. Thankfully, putting is nowhere near as challenging as say, another arcade golf series that is a PlayStation exclusive. That's not to say you won't have your problem spots, but reading the green and successfully sinking putts (without needing to two or even three putt the darned ball) is a more reachable goal. Uh. You guys are going to catch me, right? 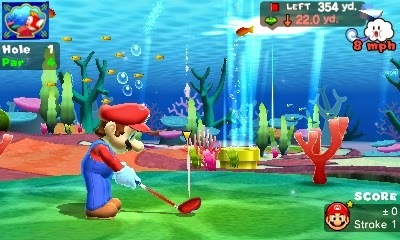 There really is little to dislike about Mario Golf: World Tour. However, I feel the need to bring up some gripes I do have with the game. For one, some of the menus are rather confusing in how they are designed. There's no explanation as to how to unlock the Mario-themed courses, and if you're spending all your time in Castle Club mode, you're never going to find them. Furthermore, what I find a glaring omission in World Tour is the complete lack of being able to record and watch whenever you want your best shots. Got that impossible hole-in-one you really enjoyed getting? Well tough. You can't see it ever again. A castle course fit for a king. 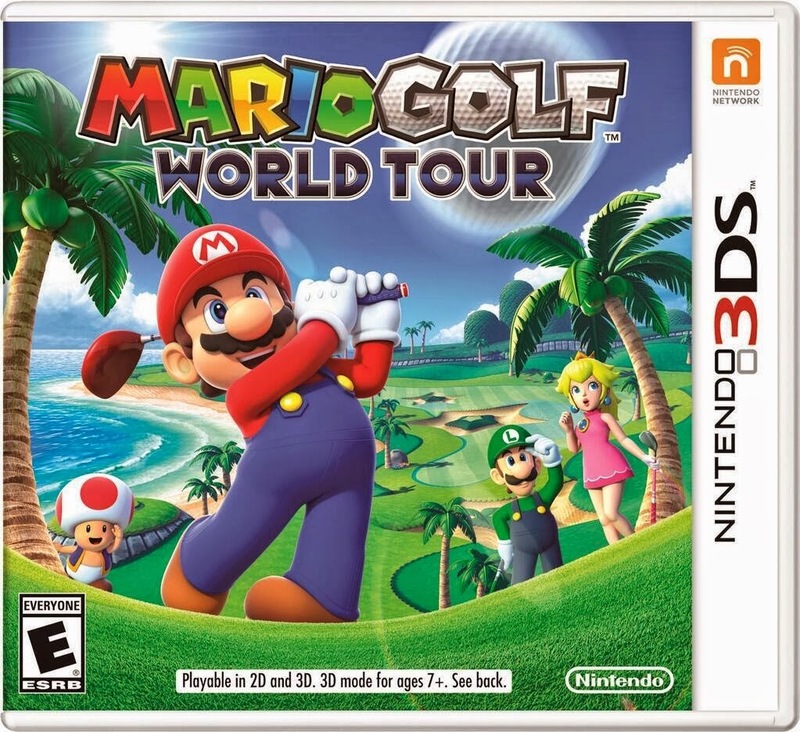 Besides those, in the grand scheme of things, minor beefs with the game, Mario Golf: World Tour nails the fundamentals of the sport, throws in enough Mario charm and eccentricities to distinguish it from the pack, and provides a copious amount of content for solo players. WARNING! Golf speak ahead! While Mario Golf: World Tour is not a hole-in-one, Camelot has designed a remarkable arcade golf game that should please fans of the Mario series and those who want a different kind of golfing experience. If you like golf and you like Mario, what are you waiting fore? 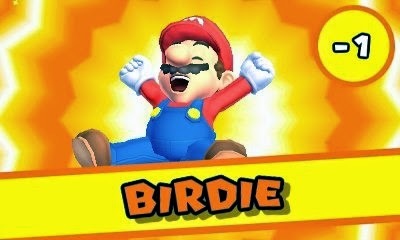 Get Mario Golf: World Tour.